What does community mean? I expect it means different things to different people; sometimes community can be family, sometimes it is sought in friends. It is a feeling of belonging, not just identity. We hear of village communities, communities on housing estates, faith communities, and when we experience it for ourselves, we want to hold on to it. Feeling you belong somewhere is a precious thing. Four years ago, when the family owned Busy Bee toy shop was closing after 25 years of trading, it caught the imagination of a community. Chorlton in south Manchester has a strong sense of identity and engenders a sense of belonging. It is also no stranger to co-operatives, boasting the flourishing vegan co-operative ‘Unicorn’, so the idea of the toy shop being bought and run by the community, for the community was born. Over 120 people were willing to invest in community shares to create the first ever toy shop co-operative in Britain, and within two months £38,000 was raised. Establishing the shop as a co-operative was a wonderful example of a community pulling together for a common goal. We had traders working for free or discount, we had members decorating, designing, negotiating and marketing, even being prepared to walk around Chorlton dressed as bees! It created a buzz in the air (excuse the pun!) and a feel good factor for many. This ‘pulling together’ is not to be underestimated in an inner city suburb. As a community co-operative, the membership elects a committee and employs people to work in the shop. We sell toys and crafts and believe it is important to support local events. At times throughout the year we run craft activities for children, and have book readings. We’ve also played host to the cast of theatre productions opening the shop up for all. At the same time as opening as a co-operative, Britain faced the worst economic climate in decades. 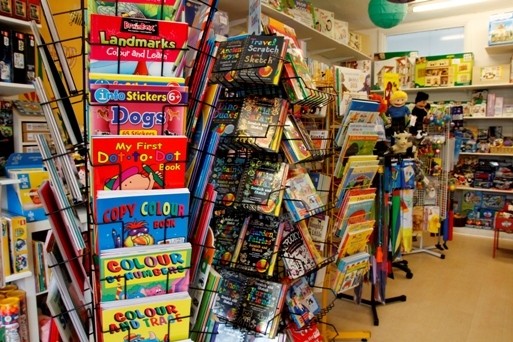 Busy Bee Toy Shop Co-operative has never had an easy trading climate and at times, generating the initial interest in establishing the co-operative has felt like the easy bit. It would be foolish to think that because it is a community co-operative we don’t have to be commercially competitive or that we have a queue of people asking to help. The retail world is a tough one, and even in a ‘community spirited’ environment, people feel overstretched, overworked and overcommitted. The ‘Big Society’ is not an easy one to maintain, and like in most groups, you usually end up with a cohort of regular supporters who in turn can begin to feel overworked. Most retailers now have an online presence, and as a co-operative we also decided to venture down that route. Some members were cautious as they felt it would, at best, dilute what the shop was about and lose the sense of community. Our online sales have been limited and we have found even the online co-operative market, a difficult one to break into. Interestingly (and somewhat worryingly) an increase in sales of online discounted toys, has been recorded in trade magazines. The economic climate is forcing the bargain hunter to turn to the best financial deal, even though in the long term, I would suggest it isn’t the best deal overall. Shopping habits are changing and the face of the high street will have a very different complexion in a couple of years because of it. At present, even in community-loving Chorlton I feel there is some disconnect between values and shopping behaviour. We are all feeling the pinch and it hurts. There is a principle at stake here though; bricks versus clicks, or to put it less succinctly, a real ‘flesh and blood’ community versus a virtual shopping community. As an independent community retailer we are supportive of like-minded businesses. We want people to support their own local community; there is however, a tension. In providing the opportunity to buy from us online, we potentially place ourselves in competition with other ‘local’ communities. We do believe it is possible however, for us to retain our integrity, be commercially competitive and continue to provide a magical ‘toy shop’ experience for generations to come. Being part of a community co-operative is hard work, but the reward is great. It sounds like you are all doing a great job Rachel, in the face of very real commercial difficulties, and doing it with integrity. This is where we need to move back to; a place where we can make decisions which are informed by our integrity and the wider community. Good luck for the future.